Text by Nikhil Agarwal. Nihkil is a trained sommelier, with a Wine Australia scholarship. He launched All Things Nice and the first ever Indian Wine Consumers Choice Awards. Most of us don’t realise just how important it is to get storage of wine correct. Do you think it is suitable to put your special wines at the back of your cupboard? Just to be clear folks, wine isn’t like whisky or vodka. 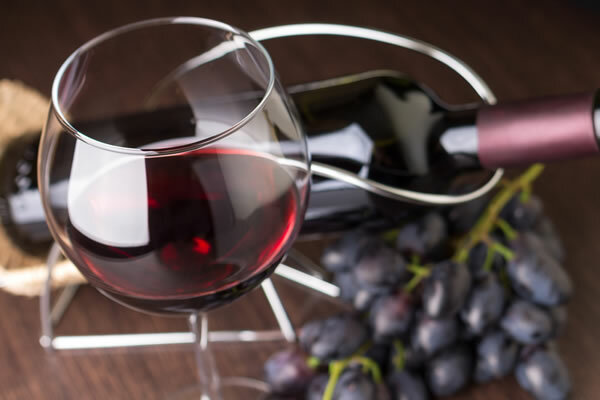 Wine is a living thing and is constantly evolving on micro levels every day and the environment that you keep the wine in plays a crucial role in how it will age and taste when you decide to pop the cork. Invest in a wine fridge. Buy a brand that doesn’t have a reputation of sputtering out within a year. You have options in terms of sizes that can fit into your budget or your living space. I say get rid of the kids’ toy chest and put in the vino fridge there! The details: Keep the bottles away from vibrations, at temperatures between 10 and 15 degrees Celsius, without any exposure to light, with the right humidity conditions and with the bottles lying sideways. Ensuring that the bottles are lying sideways is particularly important for wines bottled in cork but irrelevant to bottles in screw cap. Temperature matters: Wine, like food, needs to be served at the right temperature. Whites at about 11 to 12 degrees and reds at about 16 to 18. Sweet or sparkling wines at about 6 degrees. Temperature can make or break your wine so follow this to the T! Glassware This is really important. Get glassware that has the right shape; here the folks at Riedel lead the way. The thickness of the glass is just as important, the thinner the better. Ensure the glassware is properly cleaned without any residue aromas or soap stains. Decanters I’m a big fan of decanters, not only because the look gorgeous but they also expose wine to air at a better pace. Oxygen in air will open up the wine (breathe) and will give the wine more complexity for the nose as well as on the palate. Once this becomes second nature, enjoying your wine will be a a particular pleasure you look forward to.